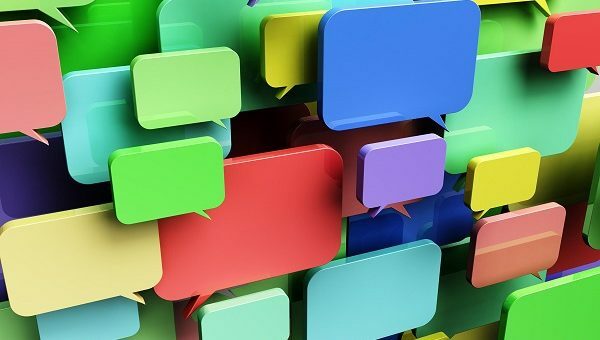 Conversations on social media can provide unprecedented insights about what patients genuinely think about treatments. Through social media listening programmes, pharma companies can now identify areas of unmet need and adapt processes to address them. Carina Mikolajczak examines the situation in Germany, and explains the opportunities available both there and beyond. Most people in Germany use the internet regularly to research health-related topics. But, in addition to finding information, they like to discuss different medications and treatments, as well as giving and receiving advice in online forums and social media platforms. Up to 20% of conversations on social media mention health issues. The information and opinions shared on the internet are direct, genuine and unprompted, offering access to data that was not previously available. Social media listening enables the pharma industry to tune in to patients’ conversations and learn from the insights – discovering what really impacts patients’ lives, for example. The Web 2.0 movement changed perception of the internet from being simply a source of information to a bi-, or even multi-directional, exchange of information among users on platforms such as Facebook, forums and blogs. Online communication encompasses topics and interactions ranging from commenting on posts to the sharing of information and articles on social media platforms. Consequently, the amount of data online has increased exponentially in recent years, making social media one of the largest and most diverse sources of information available. The consumer goods industry has been using this data for years, aggregating single data points to develop consumer behaviour patterns, and incorporating the resulting insights into product development. However, it is not only consumers who are active online; patients also use social media. According to the German Health Monitor of the federal association of Arzneimittel-Hersteller e.V, almost every internet user searches for information about health-related issues. About half use forums to discuss diseases, symptoms and treatments. However, there are diverse reasons why patients go online for information. About 75% use the internet to find information to discuss with physicians and pharmacists and to help them understand the recommendations they make. Two-thirds want to know about treatment alternatives. As the internet offers anonymity, patients are more willing to share experiences and advice with others with the same condition. They talk about their fears and concerns, and share details of the treatments and drugs that help the most. Moreover, they discuss problems with medications and any side effects. Consequently, there are many ways for the pharma industry to benefit from using social media and its information capabilities, which offers access to genuine opinions, emotions and honest comments. Pharma companies don’t normally have such access to deep insights into patients’ histories and emotions, but examining these findings can help them improve patient support services and target-group-orientated communication. Social media listening tools have been developed to support this analysis, tailored to the regulatory and compliance requirements of the pharma industry. The process starts with determining the project scope and relevant business questions the client wants answered. These could include: What topics do patients want to talk about online? Which channels do they use for their communication? Are there any unmet informational needs? Why do patients switch between drugs? What do patients think about a drug/brand? How is ‘Brand A’ perceived compared to its competitors? Why are patients not adherent? Based on these objectives, relevant keywords are defined and query terms are created. Also at this stage, it is important to determine the timeframe, languages, countries and data sources that are relevant. As soon as relevant keywords, query terms and the programme code are entered, relevant data points will be extracted using web crawler technology. Depending on the criteria identified, the resulting amounts of data points vary. For example, if Germany is the geographical scope, the German and English languages are included and the timeframe is one year retrospective for type 2 diabetes, the tool extracts about 20,000 data points from current social media platforms. Since the resulting data is unstructured, the next step is to filter the extracted data points and categorise them. Data mining and machine learning technologies are able to categorise and analyse them according to the pre-defined project focus and business questions. If sentiment analysis around a product or brand is an objective, Natural Language Processing (NLP) tools can sort the data into positive, negative or neutral comments. Although the accuracy of this type of semantic analysis continues to improve, it still requires manual verification. The final step is a content-related and graphical preparation of the data that will facilitate clear and unambiguous answers to the pre-set questions. Drawing conclusions and developing recommendations for future activities based on the findings is a crucial part of every social media listening project. How can pharma companies benefit? Social media listening can be a valuable source of information throughout the entire lifecycle of pharmaceutical products. During the drug development phase, typical questions include: Which side effects of competitors’ products impact patients’ lives the most? or What is the preferred method of application? Furthermore, companies can gain insight into patients’ evaluations of various product characteristics, and identify if there are any unmet needs in a specific area of treatment. Resulting insights can be implemented in the development process. Before launching a new drug, social media Listening could provide insight into how competitors’ products are perceived, which advantages and characteristics of the products are important and how competitors use social media. In the product launch phase, social media listening insights can be used to develop a target group-orientated communication for physicians and patients before a product is launched. Once it has entered the market, monitoring relevant social media Key Performance Indicators (KPIs), such as share of voice or brand sentiment, can provide early and leading market indicators for sales trends. For example, negative sentiment towards a product increases steadily over time. This early indicator could signal subsequent changes to other products and hence predict declining sales. Therefore the relevance of social media KPIs should never be underestimated, but monitored constantly and consistently, not only during the market launch phase. Pharma companies can also seek technical support for these efforts. Dashboard solutions can offer the advantage of a detailed and real-time overview of current pharma-related KPIs and social media activities, rather than showing just single reports. During the maturity phase of a product, social media listening can provide insights into the medical care and real-life experiences of patients while using a product. Depending on the results, a recommended action could be to improve medical care by implementing a patient support programme. Moreover, information can be better tailored to the patients and their treatment. Throughout the entire lifecycle of a product, every phase and functional division, from Marketing to Brand Management, Medical to Pharmacovigilance and Public Relations, can benefit from the resulting patient insights. Pharma companies looking for help with social media listening projects should work with suppliers experienced in their field who can ensure that internal compliance and legal requirements are met. In particular, identification and reporting of adverse events (AEs) is one of the most important aspects to consider. Ideally, the supplier should be able to provide an automated solution that covers identification, qualification and reporting of AEs tailored to company requirements. Social media remains largely uncharted territory for the pharma industry, with social media listening an undiscovered source of information with obvious advantages over traditional data sources. Social media outperforms traditional channels in time, efficiency, and volume of sources available. Plus, no other source of information or method provides insights as authentic as those found via social media. Some innovative pharma companies have already used social media listening and actioned projects as a result. Nevertheless, its potential remains largely unexploited, possibly because of uncertainty about being able to meet legal requirements and identify AEs. In addition, many pharma companies do not have strong social media expertise in house. In summary, social media listening offers an innovative source of information for the pharma industry, revealing insights that were difficult to access previously, especially genuine patients’ perspectives. Targeted utilisation of such insights can bring significant competitive advantage. Therefore, pharma companies should embrace social media listening to help them implement further actions appropriately for greater commercial success. Carina Mikolajczak, a graduate economist, works as a Senior Consultant at QuintilesIMS and is a specialist in social media listening. 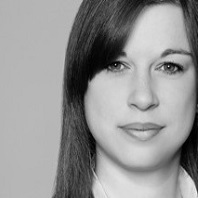 She advises pharma companies in continental Europe and around the world on the topic. She joined QuintilesIMS in 2015 and has almost 10 years of professional experience in the pharmaceutical industry.